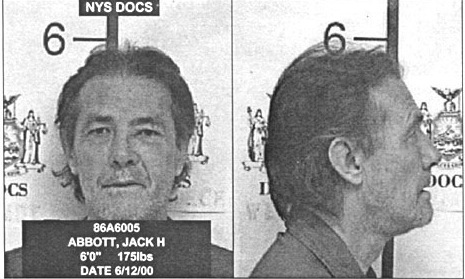 Jack Henry Abbott was a career criminal who had spent the majority of his life in prison. But in the late 1970s, he made one important connection on the outside: Norman Mailer. Mailer and Abbott corresponded though letters. Mailer, impressed with Abbott’s writing style, agreed to help him publish In the Belly of the Beast, reprinting those letters detailing Abbott’s life behind bars. In the Belly of the Beast met with critical acclaim. Soon after it was published, Mailer and other literati sponsored Abbott’s early parole. Mailer gave Abbott a job as his research asisstant, and Abbott moved into a halfway house on East Third Street. He was partying it up with writers and Barnard coeds. He wasn’t free to party for long. Just six weeks later, on July 18, 1981, he stopped in for breakfast at Binibon, a 24-hour cafe and artists’ hangout on Second Avenue and Fifth Street. Abbott got up to look for a rest room, but a 22-year-old waiter, Richard Adan—son-in-law of Binibon’s owner and an aspiring writer—told him that customers were prohibited from using it. Abbott began arguing with Adan, and the two went outside, where Abbott stabbed Adan to death. Caught in Louisiana a few weeks later, Abbott was convicted of first-degree murder and sentenced to 15 years to life. He committed suicide in prison in 2002. Mailer later said he felt “completely responsible” for Abbott’s actions. This entry was posted on March 4, 2009 at 5:43 am and is filed under Bars and restaurants, Disasters and crimes, East Village, Music, art, theater. You can follow any responses to this entry through the RSS 2.0 feed. You can leave a response, or trackback from your own site. 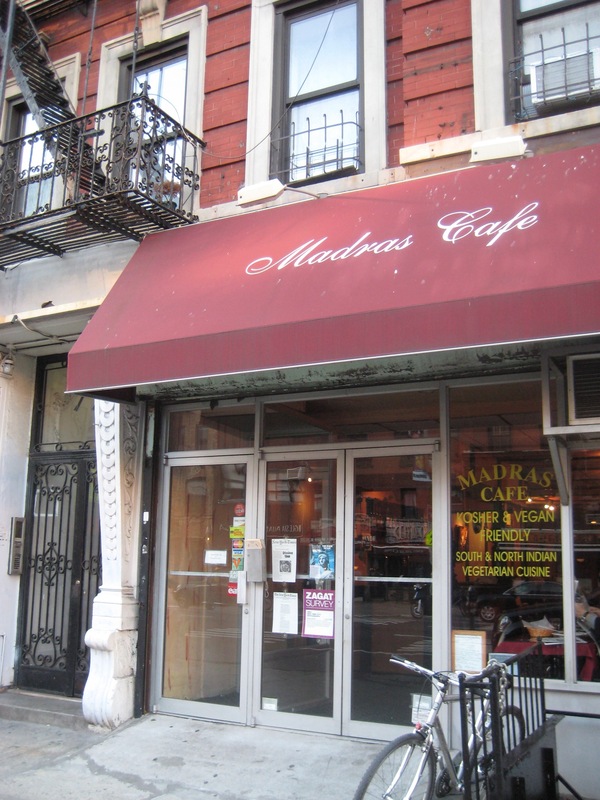 The location of the Binibon restaurant was at the northwest corner of 2nd Ave and 5th St., not at the site of the Madras Cafe as is stated here. Binibon was corner of 5th and Second. people(males) would piss out side just behind the garbage cans on 5th st about 1ft west of the restaurant. There was no bathroom for customers. It was common practice for the male customers to urinate there. I wish I could get it out of my mind…I watch that innocent young man bleed to death flat on his back on 2ns Ave between 5th and 6th st. west side of avenue of course. Actually, as I know the story. Jack asked to use the restroom and he was told that there isn’t one. Then somehow someone, maybe Richard, told him about where to urinate. Then supposedly Jack convinced Richard to show him where. As the story goes Jack propositioned him sexually outside by the garbage cans and he refuse his advances. And the they started fighting. Jack plunged a ice pick or ice pick like object into his chest directly by his heart. The location of the vatal blow I can attest to. I still have a lot of questions rergarding that case. I’ll probably never get any answers. I was 23 at the time. We never told customers to pee on the wall outside. The bums from the old men’s shelter were the main culprits. Tom,at the time, we were not required by law to have a bathroom for customers. But, your right about the staircase. Despite being cleaned every day, it was a treacherous old, worn, wooden nightmare. I remember eating there and being told that there was no bathroom. Seemed very odd at the time. I don’t remember about the bathroom, but I remember stopping by late nights for $.75 carrot cake. The place had a certain charm and I remember a mural of a colorful forest along the 5th street wall. After the murder people seemed afraid to go there and it went downhill and was sold and became a Greek diner. They broke down the wall with the murals and put in big windows. Article definitely WRONG about location. Binibon was on the NW corner of Fifth Street and 2nd avenue and the murder took place at the fire hydrant on fifth just off 2nd. I also heard that the cause of the assault was homophobia on Abott’s part. That he went out to pee attracting the attention of the waiter who displeased by this public act went to address Abott. Abott thought he was getting cruised and acted accordingly by killing the kid. The location is correct Stuart; but, the homophobic story is all wrong. Richard was married to a beautiful Filipino lady. I quit a few days before that incident, I was supposed to work that shift. Richard was married to a women true, but we had a strange interaction – it is customary to say ” watch you back ” when you’re working in a restaurant and you go behind another worker – I said this to Richard, and he looked sideways at me, with this sly little grin and repeated ” watch my back, Herb ? ” He had always been miserable and quite hard edged ( it was a hard place to work, especially the grave-yard shift ) there were many rumors about Richard and that “marriage” but he’s dead and gone a long time, and so it’s moot. Nobody liked the owners.